If you are looking for a weekend getaway from Kolkata in the state of Jharkhand, then Jamshedpur is the place which you must visit. Even though it famous for its steel plants and other industries, it is still visited by several nature lovers due to its beautiful and green surroundings in the form of parks, gardens, lakes and hills. Located on the thriving plains of Chota Nagpur Plateau, Jamshedpur is one of the fastest-growing and planned cities in India. Despite being a major commercial centre in Jharkhand, the natural beauty of the city is still intact. Surrounded by Dalma Hills and dotted with several other alluring sites, Jamshedpur is an amazing weekend getaway from Kolkata. So, why not plan a trip from Kolkata to Jamshedpur now? As the summers are extremely hot in and around the region of Jamshedpur, it is advisable to avoid visiting this steel city during the summer season. If you are looking to savour the lush green surroundings of its hills and plains, then the best time to visit Jamshedpur is from October until the end of March. By Air: You can take a direct flight to Jamshedpur airport. It will take you an approximate time of 2 hours to reach Jamshedpur from Kolkata. By Rail: Jamshedpur is well connected to Kolkata and other cities by rail. You can catch a direct train from Kolkata railway station to Jamshedpur Junction. By Road: Being one of the significant commercial centres, Jamshedpur is easily accessible by road. It is located at a distance of around 280 km from Kolkata and hence, you can reach Jamshedpur within 6 hours 30 minutes. As route 1 is the fastest and takes half an hour lesser in comparison to other routes, it is preferable. On your way to Jamshedpur, you can take a break at Jhargram and explore its natural as well as historical beauty. Located at a distance of around 170 km from Kolkata and 110 km from Jamshedpur, Jhargram is a must-visit en route destination if you are looking to take a break amidst historical boundaries with the presence of peaceful nature. Famous for its Jhargram Palace and royal palaces, Jhargram is also popular for its beautiful forests and a deer park. Even though the exact history of Jhargram is still unknown, it is believed that it was founded during the Mughal Era. Hence, you can find several historic buildings in the form of temples and palaces in Jhargram. You can also explore its surrounding forests and spot numerous species of animals and plants. Once you are within the boundaries of Jamshedpur, after covering a distance of 280 km from Kolkata, you will be stepping on the lands of industries, parks, hills and lakes. Following are the major places which you must not miss visiting while in and around Jamshedpur. Read on to know more about these interesting places. 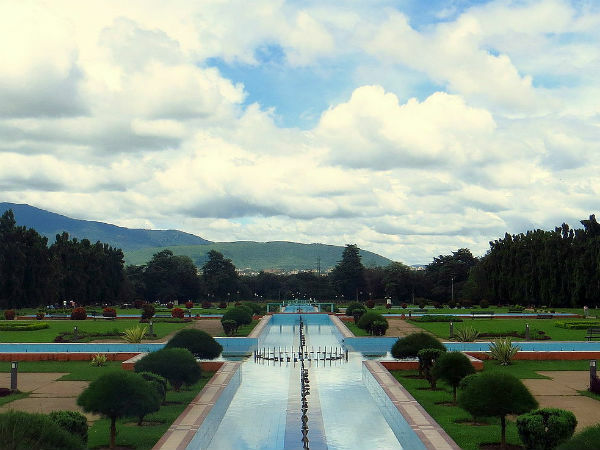 Jubilee Park is the centre of attraction and is the most visited place in Jamshedpur. Comprising of fountains, grasslands, pavements, recreation sites and a zoo, Jubilee Park is certainly one of the most beautiful places in Jamshedpur which you cannot afford to miss. Spread over an area of 500 square kilometres, this enthralling park was built in 1958 by Jamsetji Tata. Today, it is visited by thousands of locals and seasonal tourists who come here to take a fresh breath of air and spend some time amidst greenery. It is also a perfect picnic spot in Jamshedpur. Nestled peacefully in the foothills of Dalma Range, Dimna Lake is an ideal place in Jamshedpur if you are looking to spend a few moments away from the congestion of the city. It is an artificial lake and offers its visitors a lot of activities, ranging from boating to jet skiing. The calmness and composure of Jamshedpur can certainly be felt at Dimna Lake. So, how about taking a stroll amidst the stillness of Dimna Lake? Located in and around the luxuriant region of Dalma Hills, Dalma Wildlife Sanctuary is known for the population of Indian elephants. It was established in 1976 to protect the wildlife from poaching and hunting. The beauty of Dalma Wildlife Sanctuary lies in its green forests, beautiful ponds and diverse wildlife. The major animals and bird spotted here include Indian elephants, Indian nightjar and sloth bear. Tata Steel Zoological Park is a part of Jubilee Park and comprises of a zoo where you can find animals roaming freely. From taking a boat ride in Jubilee Lake to enjoying a safari through woods, there is a lot to do in Tata Steel Zoological Park.